If you’re a vet, and you’ve filed a claim for veterans’ service connected disability, I’m sure you are at least somewhat familiar with the VA’s rating schedules. You know all about ratings of 10%, 20%, 50% and 100%. But did you know some veterans can be paid at the 100% rate even though their ratings do not combine to a 100% rate? What Is the Difference Between DIB and SSI Claims? If you’ve become disabled and unable to work, you may not realize there are two types of disability programs available through the Social Security Administration. Did you know the Social Security Administration allows most anyone to represent claimants in Social Security disability claims? Don’t feel bad. Most folks don’t. There’s a big difference between a benefits consultant and an attorney. Make sure you know what you’re getting into when it’s time for some help with your claim. You will never know when a car accident is going to happen to you. That’s why it is important to be prepared and protect yourself against other drivers. I Was Injured in a Car Wreck in Bridgeport, West Virginia. Now What? 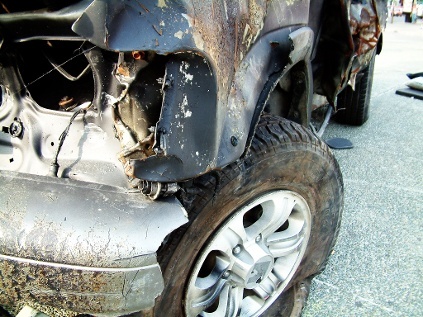 Following a car wreck, there are many things that are critical to remember. Over the course of the day, distractions can happen at anytime. One of the most common times distractions occur is when operating a car. According to Distracted.Gov, approximately 660,000 drivers are using cell phones or manipulating electronic devices at any given moment across America. Engaging in visual-manual sub tasks associated with the use of hand-held phones (reaching for a phone, dialing, and texting) increased the risk of getting into car wrecks by three times. Car wrecks can be a hassle to deal with. They can cost money, time and most importantly, they can cost you your LIFE. Have you ever wondered why folks in our area drive over three hours to buy furniture in the Ohio Amish Country? We have plenty of furniture stores right here in our area. We can buy cabinets at Lowe’s or Home Depot. So why drive all the way to Amish Country to buy a table or a couple of chairs? Car wrecks happen every day. More than 37,000 people die in car wrecks each year and an additional 2.35 million are injured or disabled. Unfortunately, being in a wreck isn’t a matter of IF, it’s a matter of WHEN. In a Car Wreck in West Virginia but Not at Fault. Do I Need a Lawyer? Being in a car accident is not a matter of IF; it’s a matter of WHEN. There are a lot of distracted drivers out there. 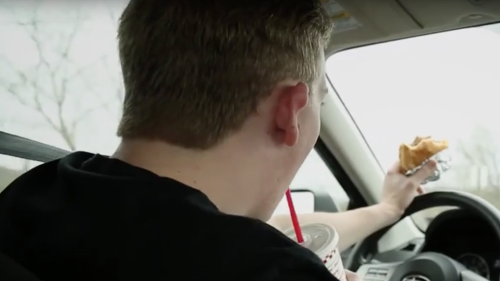 Distracted driving is a growing epidemic. Are you or someone you know driving distracted? Do you know the dangers it imposes? With the popularity of the internet and smart phones, it’s not surprising many West Virginians search for information about Social Security Disability lawyers on the internet. That’s fine. Obviously, I want you to find this article on the internet. However, you have to be extremely careful about what you’re getting when you find firms on the internet. I had a client ask me the other day to explain to him the single most important thing to do for a Social Security Disability Claim. To tell the truth, his question took me by surprise. I’ve never thought of these claims in terms of the one most important issue. I’ve always thought of my cases in terms of many issues all coming together in a successful result. I’m going to start writing a blog. Well that’s what all the internet and website folks call them. I’m not really sure what a blog is supposed to be. However, I do know what I want to write. I want to write some straight forward articles that will help people better understand the legal process and how to successfully maneuver through it.